This key bag protects your car key and prevents unnoticed readings of your access code for unlocking your car door or starting the engine. With this ANTI RFID NFC protective car key bag, you complicate or prevent your car from being a victim of a professional theft. A car with a Keyless-Go system is in danger of being stolen. This RFID / NFC protective car key bag protects you from this! It has never been easier to steal a modern car. The modern RFID or NFC radio technology allows this. 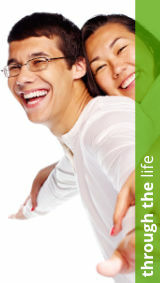 RFID is made to be a comfortable luxury. And as simple as it sounds, it works just as well. A chip is installed into the car key which constantly emits a weak radio signal. It has a very small reach, but it is enough to unlock the car doors without contact or to start the car by pressing the start button. As a result, the owner must stand next to the car or sit in the car and carry the key with them. A radio transmission does not have any physical limits, which means that in the case of WLAN and mobile radio, data can be recorded with the transmission, as long as the appropriate hardware is being used. Car thieves use this option and weakness. 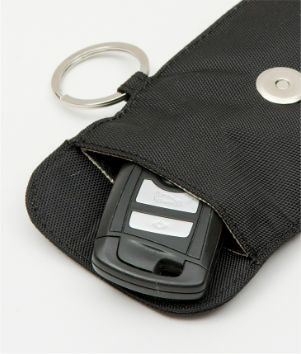 This key bag protects your car keys and prevents the security code for unlocking the car door or starting the engine from being read unnoticed. With this ANTI RFID NFC protective car key bag, you complicate or prevent your car from being a victim of a professional theft. If you look at it briefly or put it in your hands, it apparently seems to be a simple bag for your car keys. Far from it. 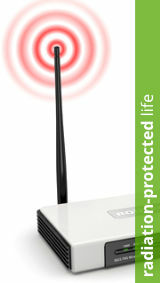 On the inside, there is a sophisticated system that prevents wireless access from the inside. A specially-designed shielding mesh with silver equipment builds a protective net for the RFID car key, almost a mini Faraday cage. 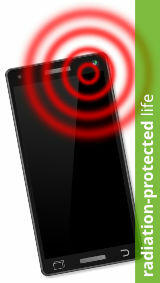 This blocks all radiation and prevents the exchange of access data. As a result, car thieves are no longer able to access the car key’s data wirelessly unnoticed. It goes even further – the key won’t even be displayed on the hacker’s RFID scanner anymore. A very easy-to-use solution with great effect against radio car theft. 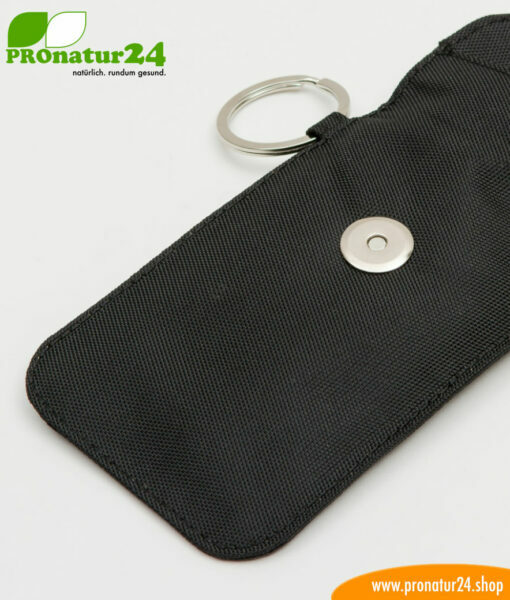 The ANTI RFID NFC CLASSIC protective car key bag is delivered in a robust, 100% nylon knitted fabric as an outside material. The inside is softly padded and lined with the special shielding mesh with silver finish, which blocks the RFID and NFC radio waves. The lock is a strong magnet that helps the protective bag to close itself. Actively protecting the car key’s data cannot be easier. The bag is not used inside the car. As soon as you leave the car, simply put the key in the bag, close the bag and put it back in your pocket. This also applies to the cloakroom in the house if the car key remains in the jacket and near the house door. In a restaurant, while the jacket is hanging from the chair or the car key is in the trouser pocket. While shopping if the key is in the handbag. Even if the car thief is at the house door with a scanner and scans from the outside, the key will not be recognized and the access data stays where it belongs – in the car key. Thieves with the appropriate technical equipment can “record” and register the data exchange between sender and receiver and then use that data themselves. If the car’s security code is also taken and registered from the car key unnoticed by the thief, they can open the car and start it as well. The same applies to contactless payments with EC cards or credit cards. If the thief reads that data, they could theoretically go on a “shopping spree” or sell the collected data. The same also applies to identity cards and passports with an integrated RFID chip. RFID means “radio-frequency identification” and designates a technology used to automatically identify and localize objects and beings with radio waves. The RFID chip (transponder) can be the size of a grain of rice or also that of a thin film that looks like a label. 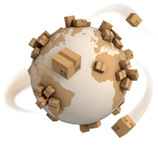 RFID transponders could replace the widespread barcode and lay the foundations for shopping without cash. This technology enters our day-to-day life mainly through the keyless car and the modern identity card. NFC means “Near Field Communication”, is based on RFID technology, and allows the contactless exchange of data via electromagnetic induction over short stretches of a few centimeters, as well as a lower data transmission rate. This technology enters our day-to-day life mainly through contactless payment of small amounts of money. This chip is integrated into modern cashpoint cards and credit cards. Measure the car key before ordering so that it can also fit in the ANTI RFID NFC CLASSIC car key protective bag.